Discussion in 'Guitars in General' started by dcarroll, May 9, 2016. 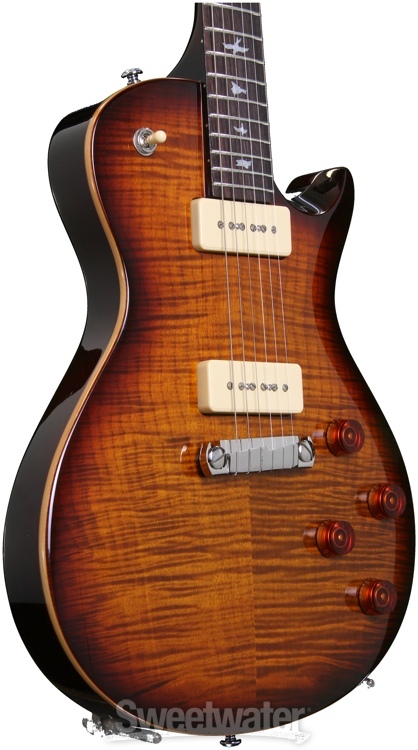 I am thinking about pulling the trigger on a PRS SE guitar, something to have fun with and not worry too much if I take it places. Any thoughts on the best quality of the current lineup? I don't have a chance to play one in person right now. 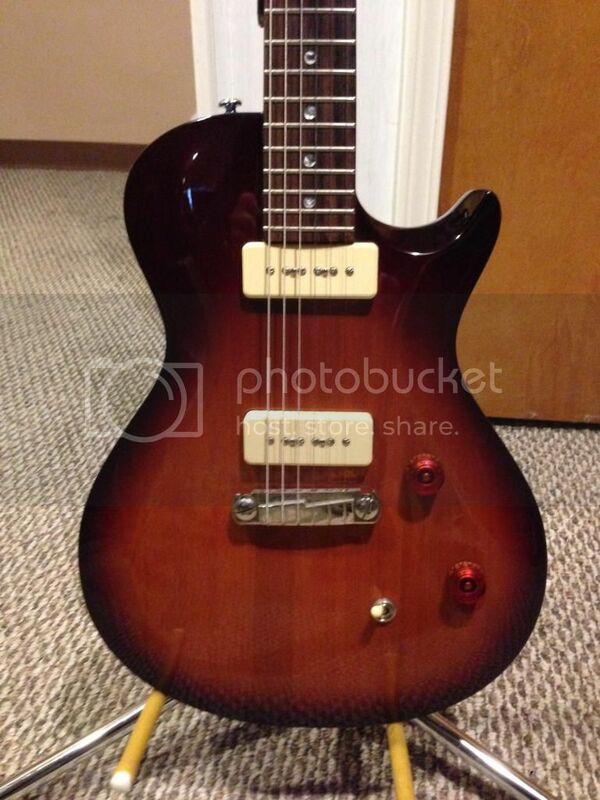 I like all types of pickups (P90s, SCs, and HBs). Going to be played through a 68 DR. Thanks. My personal favorite is the SE Soapbar II. doublescale1 and sergiodeblanc like this. Is there a best? I mean, they're all from the same factory, right? Which one do you like the most? That's the best one. Single cut soapbar for me, too. Oops. Different one. I'm thinking of the 245. That's the one I like. 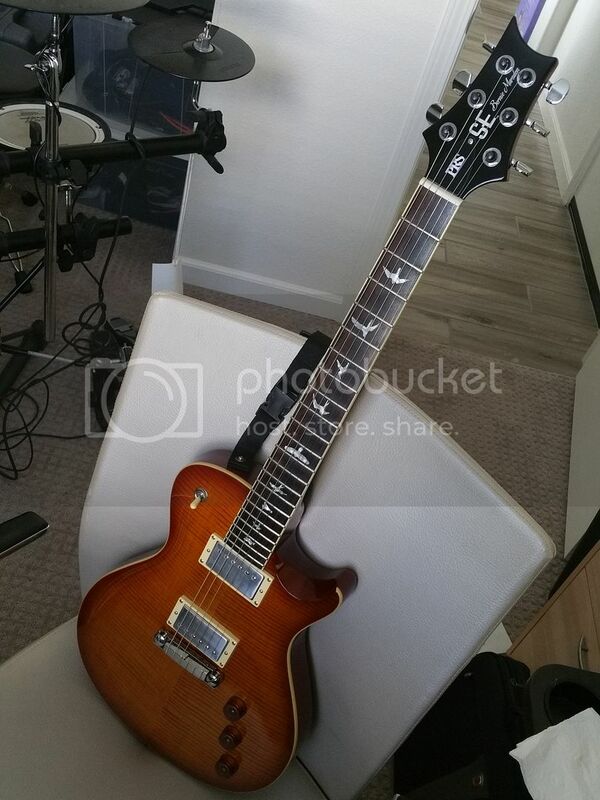 I just pulled the trigger on a PRS SE Bernie Marsden. Will let you know on Friday! Lewguitar, SPROING!, bricel24 and 4 others like this. I just got an Indonesian SE245. It is perfect. Plain as hell but perfect for what I wanted. I played a Santana. It was also great. I found this SE Soapbar II single cut at a local shop used. It was hardly used at all. What a great playing guitar for very low money. Hard to go wrong with the Soapbar slab mahogany guitars - the electric guitar in it's most elegantly simple form but with tones that will surprise and delight you. scott944 and scolfax like this. I like the Bernie and the 245 if you want a thick body and a short 24.5" scale similar to a Les Paul. The semi hollow Zack Myers is nice too and has the short 24.5" scale. But I went for the SE Singlecut because I like the 25" PRS scale. Got two of them. The SE's are not the equal of my PRS Custom 22's, but theyre excellent guitars. I played an SE Custom 22 Semi Hollow the other day that was surprisingly fine. I was actually there to look at a new Vox amp and this SE was hanging there so I plugged in. Damn. Nice. A real eye-opener for me. Of course, the amp might have helped a lot. I've played a bunch of them, and while I liked all of them, one is by far my favorite...the Bernie Marsden. Bernie. Would love to know why the discontinued it. Maybe his name didn't have enough pull? Idk but the guitar itself just slays. I like my santana. The fat neck and shorter scale length are a good combo for my hands. Marsden or Zach Myers. Both unique and have killer necks. I love my ZM SE, plays great and sounds fine for a $600 PRS. SE Custom 24 Floyd for me. I like the Zach Myers a lot, but the Marsden model is great too. SPROING! and scolfax like this. The SE 245 is almost the same guitar as the Bernie. Better in a way, because the 245 has two volumes and two tones like a Les Paul. The thing about both the Bernie and the 245 is the short scale. That's 1/4" shorter than a Les Paul, 1/2" shorter than most PRS guitars, and a full 1" shorter than a Strat. Right. Also the neck carve is supposedly fatter on the Bernie, and it also has neck binding.